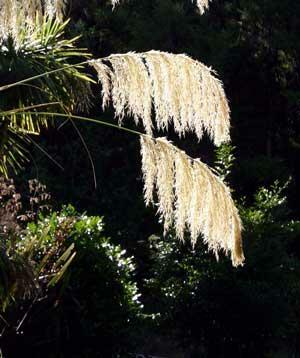 New Zealanders have buit a heritage around the uses and qualities of native plants. Here are some proverbs, whakatauki, nga pepeha, observations and quotes that define and illuminate the qualities of New Zealand's native plants. The following demonstrate the richness of language that describes human endeavours and spirit using analogies of New Zealand's native plants. They give an indication into the world-view of maori and european cultures. Te waka pukatea,te waka kohekohe"
The pulp of the tawa berry is easily crushed. 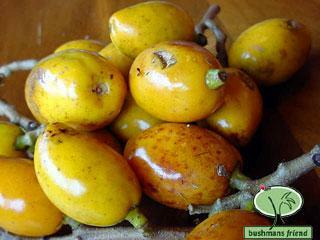 The soft flesh of the tawa berry is compared to the weak spirit of a coward. It can be compared to a noisy tawa fire. A term expressing noisiness often said of a small child. Tawa kernels when roasted make a popping sound. No te mea ra ia,he rakau tawhito, e mauana te taitea i waho ra, e tu te kohiwi in a very old tree you can be certain that the sapwood is on the outside while the heartwood is in the middle. Indicative of a well organised group with the older reliable chiefs in the centre and the young warriors providing the external defence. It is said that the Kowhai sprung from the shreds of the cloak of tohunga Ngatoro-I-rangi of the Te Arawa waka on its arrival to Aotearoa. The legend says that a young tohunga asks a girl to marry him while they sit under the bare branches of a Kowhai tree in the month of August. She replies that she will only marry him if he can perform some brilliant act. “I will show you what I can do. I will cause this tree to spring instantly into flower before your eyes.” He uses all his powers and the tree bursts into bloom, his final touch causing a ring of yellow blossoms to appear around the dark hair of the girl. 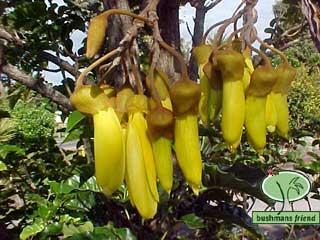 Ever since, say Te Arawa, the Kowhai has flowered on bare and leafless branches. “Kua ura to ao te Kowhai”, the kindling of Kowhai blazes. It also describes the blushes of the adolescent when embarrassed by actions they need not be ashamed of. A comment on bravery literally means Rangitihi, whose split head was bound with a rata vine. Rangitihi continued fighting in battle after his skull was split by a weapon of an opponent. He bound it with an Akatea vine (Metrosideros perforata), rallied his warriors and won the battle. 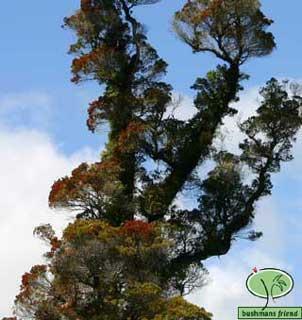 The Pohutokawa is the hardiest of timber trees, and is found jutting out in immense crooked limbs from every nook however craggy, or exposed rocky headlands on the sea side, and surprises the traveller, that so may cubical feet of timber can be attached to its station, with the extremely scanty proportion of soil around its stem. The tree produces huge branches of flowers, of a quite delicate red, interspersed amongst the greenery, they make a very attractive sight. I have seen no fruit on this tree, which grows very high. O friend throw away your red feather head-dress! There are many red plumes dancing on the shore. A proverb which is similar to the English “Don’t count your chickens before they hatch”. Wait before making conclusions or they may be false. The folly of false assumptions. 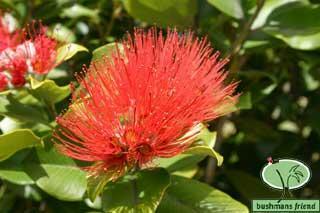 It refers to an incident that occurred when the Tainui canoe arrived from hawaiki to the east coast ofNew Zealand when the Pohutukawa flowers were flowering in the months of December and January. The tohunga on the canoe wore a red topknot or decoration made from red feathers of a bird on his head, a feature of status. The guardian threw away his prized red feathers, but was disillusioned when it was discovered that the red plumes were flowers which quickly dropped and discoloured in the sun. See there, red ornaments for the head are much more plentiful in this country than Hawaiki, so I’ll throw my red head-ornaments into the water. An outcome from this incident was that mahina, found the discarded head piece and refused to return it. From this comes “ He kura pae na Mahina, ekore e whakahokia atu ki a koe..
it is Mahina’s property and cannot be returned to you. In English “Possession is nine tenths of the law”. Its mine and I’m not giving it to you. Maire was used as a wedge to split logs as it is particularly tough. Similarly, a brave warrior can drive a wedge into the ranks of an enemy. A totara split in falling represents misfortune; one that remains whole betokens good luck. Literally the titoki fruit is ripe and the rata is red in the eighth month. This is eight months from the start of the New Year in June. So in January the rata blooms. This refers to the time needed to mature. The Kahikatea is very similar in outward appearance to the Kouri……It has a majestic appearance when surrounded by the smaller and less inspiring trees of the Forest. 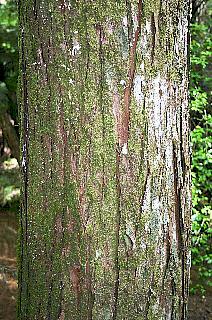 Although the mokoroa is small it attacks the white pine. The mokoroa is a large grub that eats into a tall tree. the meaning of the saying is one should not feel contempt for a weak enemy for he or she may be able to cause one much trouble. The human family lives on while the branch of a titoki falls and decays. Allan Cunningham 1826 on the banks of the Cowa_cowa (Kawakawa), a branch of the Wycaddy (Waikare) Bay of Islands. A reproach against those who were no where to be found when the work was to be done in planting season, but who may appear at the time of harvest. Where were you when the Fuchsia shed its leaves. Similar to above but of greater sarcasm. Where were you when the tribe most needed you. Let your clothes be made as strong as mangemange which never wears out. 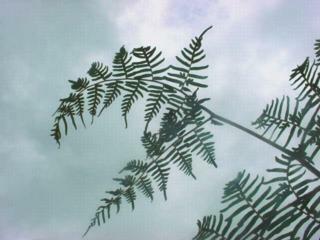 Mangemange is a climbing fern with a very strong stem. Literally the laughing puriri trees of Taiamai. Taiamai is a name for the fertile heartland of the Bay of Islands . This saying celebrates the beauty and perfection of nature and is a term of honour addressed to a welcome guest. Set the overgrown bush alight, and the new flax shoots will grow. Clear away all that is bad and the good will flourish. An image of a fresh start. Like a superior kind of flax fibre referring to quickness, as the best flax could be cleaned quickly without tedious scraping. Na wai te kokomuka tu tara whare I kiia kia haere. Who said that the shrub (Hebe) which grows on the wall of a house should leave. A figurative saying referring to a “stay at home”. Said by old people when they were asked to take part in an expedition. 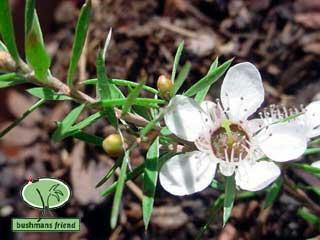 Although the manuka is a small tree it is noted for the strength and toughness of its wood. The saying may be applied to a small group, person or organisation who through strength and determination prevail. 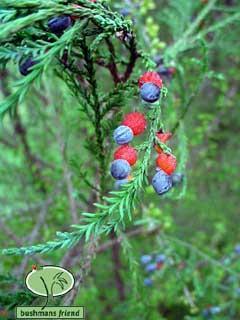 The little red manuka (kanuka) can reduce the totara to small pieces. There is also to be seen on the coasts a bush which deserves special praise; it is an excellent anti-scorbutic, which we have called myrtle, because it closely resembles it both in the leaf and the scent. Journal of Mr.du Clesmeur 2nd Lieutenant of the vessel marquis de Castries. Commander: Marion du Fresne. It is the strength of the adze, the vigour of the whale and the sturdiness of the karaka tree. Me ai ki te hua o te rengarenga, me whakapakari ki te hua o te kawariki. Year round occupation leads to good health while reliance on seasonal activities produces uncertain and less desirable returns. Do not pound fern root at night for it sounds like the pounding of a human head and it is an evil omen. Me te pingao i te tuauru e rere ana i te one. This simile is used to describe the flight of people from an enemy. Sydney Parkinson Tolaga Bay 1769. The Endeavour. The ears of both sexes are pierced and this is done at an early age. Sometimes the opening receives the purple flower of several kinds of Metrosideros, or Clematis. Generally speaking, the natives take very little delight in flowers; which they regard as useless, and seldom use them as ornaments. They wonder how Europeans can bestow such trouble on Flora’s children, being as they say, useless for food. Capt. James Cook The Endeavour Tolaga Bay October 27th 1769.
found more especially on the skirts of inland forests, where it climbs the loftiest of trees, and garlands them with its chaste flowers and handsome foliage. 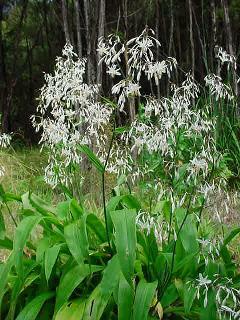 It is the largest and choicest member of the family, and gladdens the spring….with its presence. On account of its climbing habit, it is at times impossible to obtain its floral treasures, which, pendant from the highest branches of the stately forest tees, defy all attempts, at the hand of the covetous ones below, to possess them. Another clematis, Clematis hexasepala (pikiarero), inspires Edward to poetic endeavour as he describes how its creamy flowers contrast with the bronzed skins of the ’native maidens’. And the clinging of the human heart. Edward Featon husband of botanical artist Sarah Featon(1848-1927) from Lady Painters by Bee Dawson Viking. 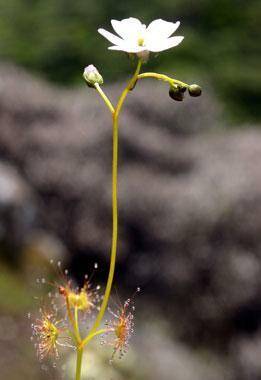 Sundew Drosera. A carnivorous plant. Words are almost inadequate to describe the beauty of the transparent green floor of the leaf studied with rubies, and overhung with pale ruby lashes, tipped with crystals, bright with reflected colours of the diamond, the emerald, and the ruby. Enlarged under magnifying power, each leaf appears like a terrible but beautiful monster. The reality of its nature is displayed by the remains of its victims, which strew the floor of this lovely charnel house. Tuhoe considered that Puawhanaga was one of the three firstborn children of the stars Rehua (Rigel)and Puanga (Antares). The duty of these three children is to indicate by means of their blossoms the coming of the warmth of spring. Collected 1773 Forsters queen charlotte sound. 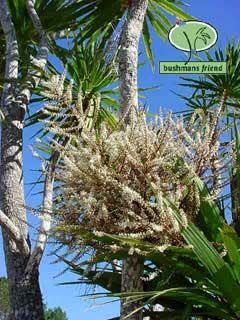 The most remarkable plant was a tree which looked something like a small leaved Dracaena, or screw pine, but which was really a heath!. All its under leaves were purple, and its stems bright salmon-colour…The whole was one of the most curious growing things I had ever seen in any land. Lady Painters by Bee Dawson Viking. And there was a ten foot reed with a flowing suit of what looked like yellow hair hanging from its upper end. 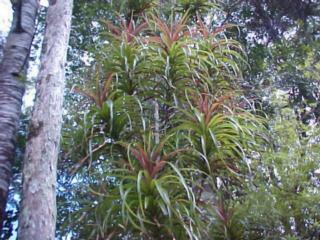 I do not know its name but if there is such a thing as a scalp-plant, this is it. 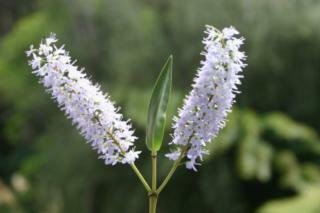 the blooms of the toetoe fly in the eigth month (january). The saying means summer has truly arrived. Williams H.W. 1908 He Whakatauki, he titotito,he pepeha. A little before noon Messrs. Williams and Davies walked with me to part of a neighbouring forest, to show me the famous kauri pine. I measured one of the noble trees, and found it thirty one foot in circumference above the roots. There was another close by, which I did not see, thirty three feet; and I heard of one no less than forty feet. These trees are remarkable for their smooth cylindrical boles, which ran up to a height of sixty, and even ninety feet, with a near equal diameter, and without a single branch. The crown of branches at the summit is out of all proportions small to the trunk; and the leaves are likewise small compared with the branches. The forest here was almost composed of the kauri; and the largest trees from the parallelism of their sides, stood up like gigantic columns of wood. On the seashore amongst the seaweed left by the outgoing sea, there are to be found pieces of resin or bitumen, more or less round in shape, yellow in colour, transparent, crumbly, light, inflammable, with a much sweeter smell than resin, although it resembles it. This substance, in my view, curious and worthy of attention by naturalists, seemed to belong to the class of amber. The journal of Mr. potter de L’horne. Lieutenant of the vessel St John Baptiste December 1769. In this primaeval wood, he viewed with admiration many fair and noble specimens of the undisputed monarch of the forest the kauri, with their vast heads towering above the other gigantic timbers of those deeply shaded recesses. Fire The Maori made his fire by friction, and used te hika ahi, the fire plough, to get his fire.two pieces of wood which had been thoroughly dried were used. One , the kauahi, or lower stick, apiece of Mahoe (Melicytus ramiflorus), was generally 14 t0 18 inches long, 2 0r 3 inches wide, and 1 to 2 inches thick. This was very soft wood, and the stick could be used on both sides. 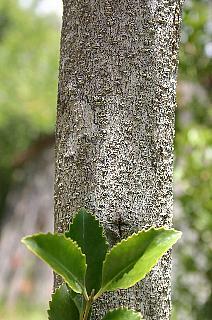 Pate (Schifflera digitata) was sometimes used as a kauahi, but Mahoe was much preferred.the other piece of wood used was te hika, the rubbing stick, made from Kaikomako, (Pennantia corymbosa), a very hard compact and durable wood. The stick was scraped down with tuhua (obsidian) or shell, to a rounded point or end. Te Hika also means “generating stick”, and a man and woman would both take part in generating fire, as both took part in the generation of children. The kauahi or lower stick was kept in position by the woman, while the man worked on the hika, or the generating stick. A small log is placed on the ground, with the lower stick against it. The lower end of the kauahi is held firmly in position by the woman, who stands with her feet on it, and the man kneels at the other end, which is raised up 5 or 6 inches from the ground. He holds te hika firmly, with his thumbs underneath, and his fingers placed flat on the outer part, with his right hand passing over his left. He begins rubbing the lower stick until a groove is formed about 5 inches long. The rubbing is slow at first , then a little quicker, with heavier pressure, until a hollow, a1/4 to1/2 inch deep, is formed, and a minute heap of dust begins to collect at the lower end of the groove. When plenty of dust has been made, the man uses te hika again, working it back and forwards more vigorously and with greater pressure, and the hollow gets hotter. He knows by the smell when the fire will come. The hollow gets darker, and from the heap of dust comes a little smoke, then a little bright spec in the middle.” A kua ka tea hi” the fire has come to life. Maui fetched fire from the mahoe tree on Three kings Islands and brought it to the mainland, having first fished up the giant stingray that was the North island of New Zealand and muriwhenua the tail. General quotes that support the genesis world view of colonialists. Then God said:” let the earth bring forth every kind of plant that bears seed and every kind of fruit tree on earth that bears fruit with its seed in it”. And so it happened: the earth brought forth every kind of plant that bears seed and every kind of fruit tree on earth that bears fruit with its seed in it. God saw how good it was. God blessed them, saying: “Be fertile and multiply; fill the earth and subdue it. Have dominion over the fish of the sea, the birds of the air, and all the living things that move on the earth. God also said: See, I give you every seed-bearing plant all over the earth and every tree that has seed–bearing fruit on it to be your food; and to all the animals of the land, all the birds of the air, and all the living creatures that crawl on the ground, I give all the green plants for food. Genesis chapter1.verses 11 and 12; verses 28-31. I was very glad to hear the other day that the settlers round Nelson are planting indigeneous trees and plants. There are none more beautiful in the world so far as I have ascertained….. Flowers and plants are the embodied thoughts of the mind of God, and the more we study them and admire their beauty the farther we look into the mind of God. James Stack was born at Puriri Thames in 1835, and was a well travelled church minister. My book "Plant Heritage New Zealand" gives a full account of the whakatauki referred to here. Ko te whakapapa tuatahi ko te poutokomanawa kei waenganui ia Papatuanuku raua ko Ranginui e tu ana. Ko tenei poutokomanawa he rakau me nga wehewehenga. The first genealogy was the main pillar standing between Papatuanuku and Ranginui. This main pillar was a tree and all its components. Ko enei wehenga e pa ana ano ki a tatou ki te tangata. Ko te whakaahuatanga mai o tenei whakapapa ko Ranginui e tu iho nei – ko Papatuanuku e hora nei. These components apply to us the human race. The manifestation of this genealogy is Ranginui standing erect and Papatuanuku lying openly beneath. This is a very powerful myth, not known by many New Zealanders, that accounts for the variety of plants in an ecological and anthropomorphic manner. 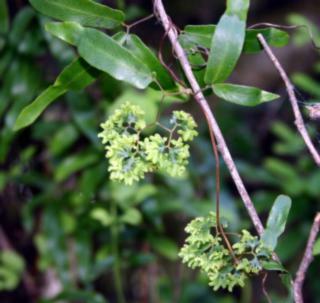 It explains how the plants came to be created by Tane mating with various female personifications.Tawhioa Tiako Urewera Tuhoe presented this at a wananga in The bay of Islands. I was priviliged to recieve this account and advised I was welcome to use this in my teaching. Ka moe a Tane ki a Apunga ka puta ko nga rakau iti katoa o te ngahere, me etahi o nga ngarara o te whenua, me nga manu o te ngahere, nga rakau iti katoa, ko Manono, ko Koromiko, ko Hanehane, ko Karamuramu, ko Ramarama, ko Putaweeta me etahi atu o nga rakau iti ote ngahere. Tane married Apunga and begat all the small trees, the insects and birds of the forest. Among the small trees were included the Manono, the Koromiko, the Hangehange, the Karamuramu, the Ramarama, the Putaweeta and a number of other shrubs of the forest. Ka moe ano a Tane I a Mumuhanga kia puta ko Totara nui, ko Totara poriro, ko Totara torowhenua, ko Tawini. 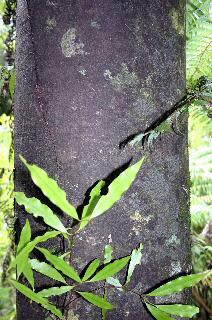 Tane married Mumuhanga and begat Totara nui, Totara poriro, Totara torowhenua and Tawini. Ka moe ano a Tane i a Tukapua ka puta ko Tawai, ko Kahikawaka, ko Mangeao, me etahi atu o nga rakau nunui o te ngahere. 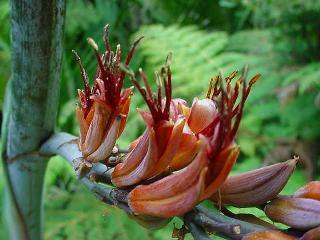 Then Tane married Tukapua and begat Tawai, Kahikawaka, Mangeao and others of the larger trees of the forest. Ka moe ano a Tane I a Hine wao riki kia puta ko Kahikatea, ko Matai, ko Rimu, Pukatea, Ko Kauri, ko Tanekaha. 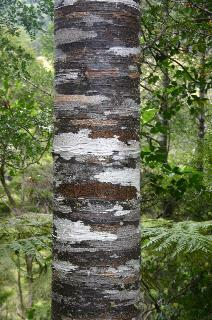 Then Tane married Hine wao riki and begat Kahikatea, Matai, Rimu, Pukatea, Kauri and Tanekaha. These are the conifers with small rough foliage. Ka moe a Tane I a Mangonui kia puta ko Hinau, ko Tawa, ko Pokere, ko Kararaka, ko Miro, ko Taraire. Then Tane married Mangonui and begat Hinau, Tawa, Pokere, Kararaka, Miro and Taraire. These are the large broadleaf forest trees with edible berries. Ka moe ano a Tane I a Ruru-tangi-akau kia puta ko Kahikatoa, ko Kanuka, Ko te Kahikatoa te rakau e kia nei e te korero whakatauki “he tao huata te karo, he na aitua, tu tonu e kore e taea te karo”. Then Tane married Ruru-tangi-akau and begat Kahikatoa and Kanuka. It is from the Kahikatoa comes the proverb “the thrust of a spear can be parried, but that of death stands forever”. Ka moe ano a Tane I a Rerenoa, kia puta ko Rata, ko Tataramoa, ko Kareao, ko Akaaka, ko Poananga, ko Piki-arero and Kaweaka. Tane then married Rerenoa and begat Rata, Tataramoa, Kareao, Akaaka, Poananga, Piki-arero and Kaweaka. These are the climbing plants that scramble for life on the trunks of other plants. Ka moe ano a Tane I a Puwhakahara kia puta ko Maire, ko Puriri. Tane then married Puwhakahara and begat Maire and Puriri. Ka moe ano a Tane I a Punga kia puta ko Kaponga, ko Mamaku, ko Punui, ko Wheki, ko Kotukutuku, ko Patate me etahi ano o nga ngarara. Ka moe ano a Tane I a Tutoro-whenua kia puta ko Raruhe (ko te aruhe tenei e kainga nei e o tatou maatua. Ko nga putake rahuruahu e kainga ana e o tatou maatua, engari ko nga mea e tupu ana I nga whenua tahoata anake. Again Tane married Tutoro-whenua and begat Raruhe. (These are the edible fern roots consumed by our ancestors but restricted to those that grew in the pumice lands). Ka moe ano a Tane ia Hine-mahanga kia puta ko Tupaatiki, ko Kakaho, ko Toetoe, ko Wiwi, ko Raupo, ko Parapara me etahi atu o nga tamariki a Tane kei te repo e tupu ana. Then Tane married Hine-mahanga and begat Tupaatiki, Kakaho, Wiwi, Raupo, Parapara and others of Tane’s children that grew in the swamp. Ka moe ano a Tane I a Tawake-toro kia puta ko Manuka. Then Tane married Tawake-toro and begat Manuka. Ka moe ano a Tane I a Huna kia puta ko Harakeke, ko Kouka, ko Tikapu, ko Toi. Ka moe ano a Tane I a Tawhara-nui kia puta ko Kiekie, ko Tuawhiti, ko Patanga, ko Mokomoko, ko Kiekie-papa-toro. The Tane married Tawhara-nui and begat Kiekie, Tauwhiti, Patanga, Mokomoko and Kiekie-papa-toro. Ka moe ano a Tane I a Hine-tu-maunga kia puta ko Para-whenua-mea, ko te wai whaka-maakuukuu tenei I nga putake o nga tamariki a Tane. The Tane married Hine-tu-maunga and begat Para-whenue-mea which are the waters that moisten the roots of Tane’s children. Me mutu I knoei nga korero kia mau ai te tapu. He kupu whakamarama, kaua e wehi ki enei whakapapa, kua oti ke te whakamaamaa kia ngawari ai, ki a tatou, me a tatou whakatupuranga. We close now that the sacredness maybe respected. As a clarification, do not be afraid of these genealogies, they have been relaxed and subdued to protect us and future generations. For another variation of this myth: Elsdon Best. Maori mythology and religion part one page 119. Dominion museum bulletin No.10.
" Tane is said to have mated with many different kinds of female beings...........Tane mated with Hine-tu-maunga, the mountain maid, and she produced Para-whenuamea(personified form of water). He then mated with Hine -waoriki, who produced kahika and Matai trees (two trees, Podocarpus dacrydioides and P. spicatus); and with tukupua, who produced the tawai(Fagus fusca, Beech) and with Mangonui, who produced the Tawa and Hinau(Beilschmiedia tawa and Elaeocarpus dentaus); and with Pu-whakahara, who produced the Maire(Olea spp. ); and with Rerenoa, who produced the rata (Metrosideros robusta); and with Ruru-tangi-akau, who produced the aka(Dodonea viscosa) and with Punga, who produced all insects and vermin, and with tu-toro-whenua, who produced aruhe(edible rhizome of Pteris aquilina); and with Parauri; who produced the tui(bird) and with Haere-awaawa who produced weka(bird). So were trees, plants, birds and insects generated. Ngati Kahungunu tribal history related that a brother, Te Uawherua, of the great ancestor of Ngati Kahungunu in Heretaunga, Taraia, once knocked his foot against a tree; he said to taraia ‘lets go back as I have struck my foot against a tree or we shall be killed as it is a bad omen.’ Taraia ignored his warning and went on to his death. Regardless of its basis in fact, such a story, endlessly retold to every generation, reinforced the danger of ignoring aitua. The karakia, before toki cut the tree, while it is still standing. Kia whaka tahia I koe. Make a clearing of Maru the feared, who is powerful, and who has authority, and whom we fear. Stand up, straighten your back! And join in, in the cutting of the rib. From Makareti The Old time Maori 1938. A fruiting tree grows well on a dunghill. A saying brought from Hawaiki. Poporo was the breadfruit tree of the homeland. In the 1930’s a particular man with an irascible nature was taken to the tohunga for healing. Following a prolonged period of meditation it was determined that that the appropriate plant required was the Kohe Thus when a person became seriously ill the leaves of the Kohe kohe were boiled and the turoro (patient) in the water. Bathing continued for as long as it was necessary along with appropriate karakia to cure the hara (wrong doing). It was noted that some people who had studied the healing practices of the maori had enquired as what actually was the curative component of such practices .i.e. was it the plant, the tohunga, the ability of the patient to respond or was it mere illusion? Tawhao responded by pointing out that it was the creator through the appropriate medium. 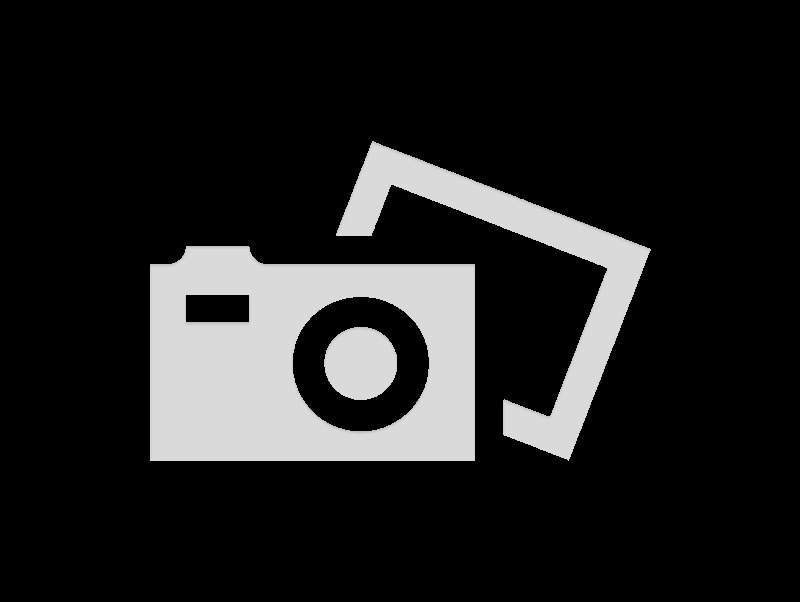 Notes taken at an address by Tawhao Tioke of Tuhoe and published with his permission.